For Admission related enquiry contact us. Online Admission form is available now. R. N. FOUNDATION LITTLE HEART SCHOOL is a Co-education, English Medium institution affiliated to Central Board of Secondary Education(C.B.S.E. ), New Delhi. R. N. FOUNDATION LITTLE HEART SCHOOL was started in the year 2001 at Sundernagar to meet the educational eeds of the growing city. The school belongs to Ramanand Foundation which has been registered under the registration of Societies Act, 1860. However the new campus at Kedo started in the year 2013. R. N. FOUNDATION LITTLE HEART SCHOOL provides a congenial and aspiring environment for all round development of personality. 4 acres World class green campus. The school comprises a lush green campus of about 4 acres with a total built up area of 20,000 sq. ft. at present. A proposed Academic Block of about 22,500 sq. ft. is already under construction to be commissioned by July 2015. The classrooms and dormitories are airy and well ventilated. 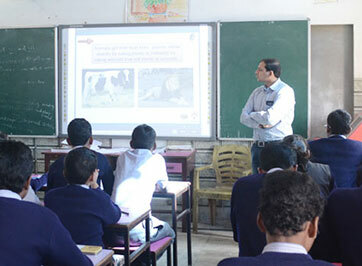 All classrooms are SMART CLASS enabled by Extramarks. A well structured Computer Lab with 15 computers provides Computer Education to the students. 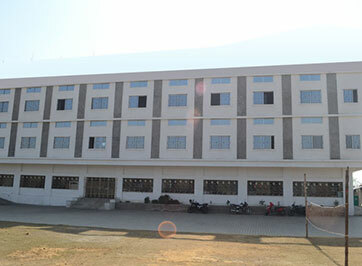 Boys and Girls have separate hostel facility, comprising of airy and ventilated dormitory type rooms. Hot water bath facility is providing during the winter season. The entire campus is closely monitored by CCTV camera. Digital eye always monitoring all activities.